I am not going to say much about it because I want you all to go and read it for yourself. One thing I can tell you is that it is genuine. 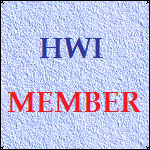 Go to the main HWI site and view the guestbook. There is a message there from Hayley. Yeah just checked it out, great to see and hear from Hayley. It sounds like some experience she had in Ghana. Also her offical site has put up 2 pics from her party, she looks amazing. Yes, it's a nice message from Hayley and she seems to be really getting into the swing of this UNICEF thing these days . She is certainly bringing the problems of African etc. kids to our attention, quite right too and it's nice to have been able to help. Glad she likes the pressy, too and oh, we'd better be careful what we say in here - you never know who might be lurking! Can't wait to find out what the "more News soon" is, that we have been promised by her website! Yeah good to see Hayley liked the braclet. I think she is wearing it in the shots, on her right wrist, anyone else think so? It definitly looks like it. I hope thats non-alcoholic shes drinking!!!! I heard that Gerald and Isaac also turned up to the party and Chloe Hanslip and The Datsuns? ? also attended. It's a lovely message from Hayley, and I thought she would be in touch with us quite soon. I'm really pleased she liked the bracelet and the donation to UNICEF, and I'm glad she told us about her trip to Ghana. Hayley loves helping others, and now I'm prouder than ever to be a fan and a member of HWI! I looked at the photos on her official web site and the gallery that Emmett found, and Hayley clearly knows how to enjoy herself without... You know what I'm thinking! Congratulations Hayley! Now I'm looking forward to reading the full story as her web site promised, and I hope the publicity will boost the sales of Hayley's DVD and her forthcoming new album. Hayley works hard and really deserves all her success. It's good to see so many nice responses to Hayley's lovely message on the HWI guestbook. Special thanks to Dabbs for the article about Hayley's party in the News section of the main site, and to Emmett for the link to the photo gallery. Just got this yesterday, Hayley gets a mention in the Bizarre column in The Sun. I actually think it was more about Daniel Bedingfield .